Italian premier Matteo Renz has threatened to resign if his constitutional referendum to increase executive power fails. The following article is translated from L’internazionalista (No. 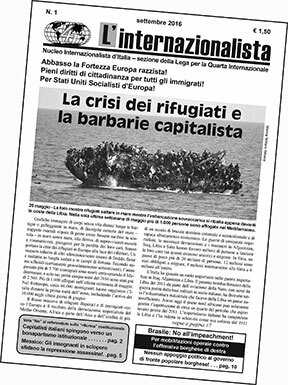 1, September 2016), publication of the Nucleo Internazionalista d’Italia, section of the League for the Fourth International. The constitutional referendum is being held on December 4. The rapacious EU bankers and IMF are demanding never ending lowering of living standards and the gutting of basic services and rights. Their demand for “governability” is a push to sharply curtail any semblance of democratic control in order to ram through brutal anti-working-class measures. 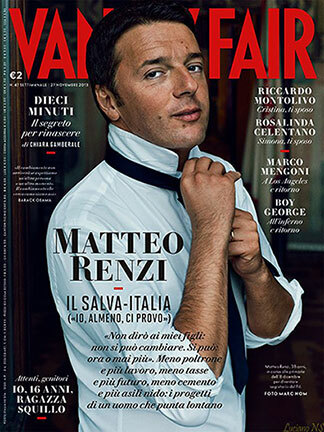 This is at the heart of the referendum proposed by premier Matteo Renzi for this autumn, saying he would resign if it fails. The Democratic Party government sponsored “constitutional reform” is part of the push towards institutional Bonapartism to avoid “bothersome” democratic controls. This proposed “reform” goes hand in hand with the government majority’s complete takeover of RAI, Italy’s public broadcasting network by appointing the majority of the directors; the education “reform” that centralizes the power over education and attacks trade union rights; and the Porcellum (now Italicum) electoral law which makes a mockery out of the right to vote. It should not be forgotten that the last three premiers: Renzi 2015-2016, Giovanni Letta 2013-2014, and Mario Monti 2011-2012 were never elected. Now the Italicum gives a 53% majority of parliamentary seats to the first slate with the most votes, even if it wins only 25% or so of the votes on the first round. The fact that the Constitutional Court ruled the Porcellum electoral law unconstitutional because it “damages the right to vote”, has had no practical consequences. The unconstitutionally elected parliamentarians carry on as before. The “constitutional reform” would reduce the Senate from 315 members to 100 (of which five would be appointed by the president of the Republic) and stripped of most of its powers. The Camera would pass the national laws, vote confidence in the government and represent the nation while the Senate would represent the local and regional governments. The 95 Senators would no longer be voted for by the citizens, but picked by mayors and local politicians behind closed doors, giving the party bosses even more power. Local governments would also be stripped of most of their powers, which would be transferred to the central government. Also local politicians could be removed from their posts if the local government has a large deficit. Since the national government drastically cuts these funds every year, this is almost a certainty. The proposed “reform” would also give the government the power to speed up the vote on its newly proposed laws simply by declaring them essential. Price: € 2.50 (including postage). Historically, Trotskyists have favored a single chamber bourgeois parliament, as Senates usually have higher voting ages and less democratic methods of representation in order to exercise a conservative influence. But in Italy the voting system is so rigged that eliminating the Senate would be a step toward increasing institutional bonapartism. In fact one of the reasons for the “reform” is to eliminate the situation in the recent past where the PD had a majority in the Camera but not in the Senate. While communists are not insensitive to bourgeois-democratic and working-class rights and we call for a “No” vote on this referendum, we know that the democratic trappings of the bourgeois state mask the role of capital, and under imperialism the dictatorship of finance capital. Mario Monti’s unelected Banca d’Italia government was the norm, but perhaps too crude and obvious, so the rulers want to hide behind the facade of the PD. Thus in Italy the banks name the premier, while in Greece they have a referendum that says “No” and the government decrees “Yes” to austerity.